The project objective is to design a management system ORGANIC FERTILIZATION for administrative control and agronomic Livestock Manure. 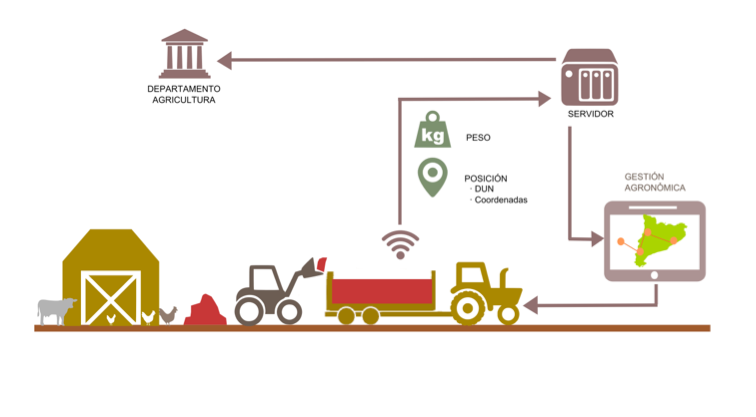 The project aims and in accordance with one of the five technology challenges FEMAC’s Cluster is to improve the efficiency of management of livestock waste with an innovative system that provides a significant cost reduction in agricultural production, through collaboration between four member companies of the Cluster FEMAC. The essence of each and every one of the projects initiated and managed by FEMAC is to provide support to the implementation of the strategy defined in its Strategic Plan 2012-2015, and its last review in 2013, and includes the main technological challenges of the sector. This particular project is within the technological challenge to manufacture more sustainable machine from the point of environmental view. Machines that allow the farmer to use the limited resources more efficiently, allowing less use of chemicals and allow a transition to a more organic and clean agriculture. To accomplish this purpose it is important to incorporate the new enabling technologies for farming machines. Among these technologies are identified ICT (traceability management software), the photonics (lasers measuring cubic capacity), and electronics (measuring system with electrical conductivity positioning systems).